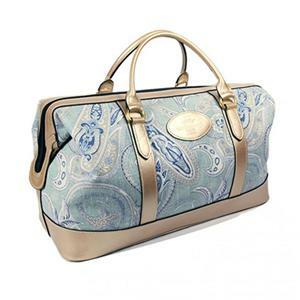 This stunning weekend bag in blue paisley canvas and leather is handmade in England. It is a timeless design made by skilled craftspeople and is protected with a rainproof solution giving you that truly classic feel, whilst also being very hard wearing, allowing for a lifetime of use. 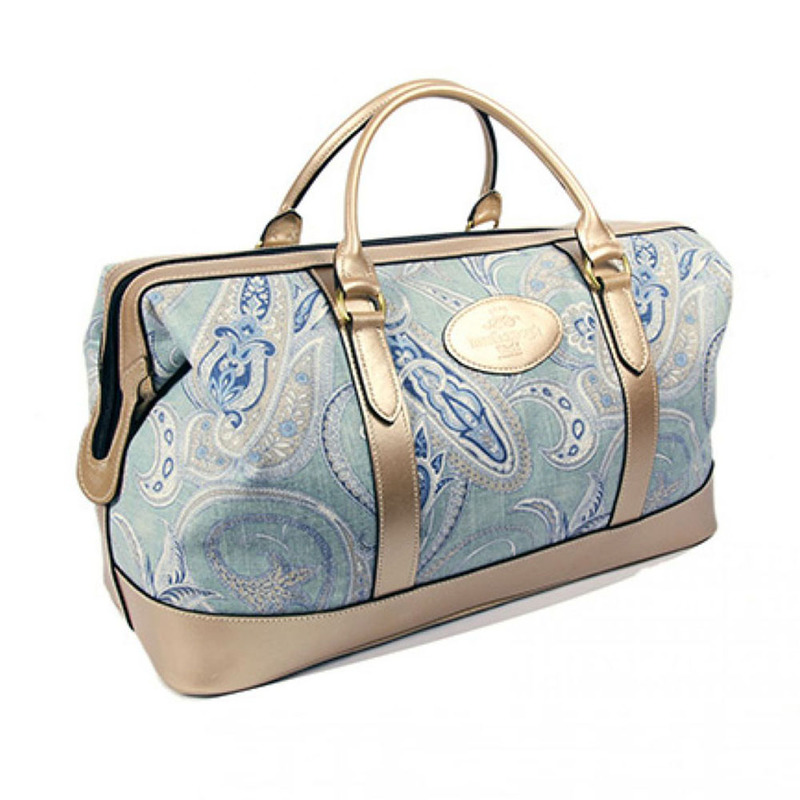 The inside of the Blue Paisley Weekend Bag is lined with woven silk and is finished with a Smooth Brown Papaya Leather, giving you a truly luxurious feel. Each bag is a modernised adaptation of the traditional Gladstone bag, with mechanisms in place for easy use, allowing the bag to stay open without any assistance. Product Dimensions: 350mm (H) x 510mm x (W) x 220mm (D) approx. Free delivery to all UK addresses. Your item will be dispatched 1-2 days after receipt of the order. Delivery will be 3-4 days after placing your order.